Expanding its wide range of elegant and affordable phones for consumers in emerging markets, Nokia today unveiled the Nokia 2652 phone. The stylish and functional Nokia 2652 phone fold model builds on the success of the award-winning Nokia 2650, adding two new design motifs, ‘Cell’ and ‘Fleur’ with dark gray and pearl white key mats for consumers to choose from. It is expected to be commercially available in October 2005 with an estimated retail price of 100EUR before subsidies or taxes. 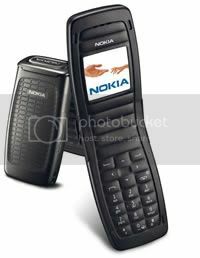 The Nokia 2652 phone will be available in Europe, Middle East, Africa and the Greater China region.